The inspiration of the design of Azulejo Shams comes from the Portuguese and Spanish azulejos, ancient decorated ceramic tiles. The result is an elegant and fresh yarn dyed jacquard offered in two colors that enhance the uniqueness of the pattern. 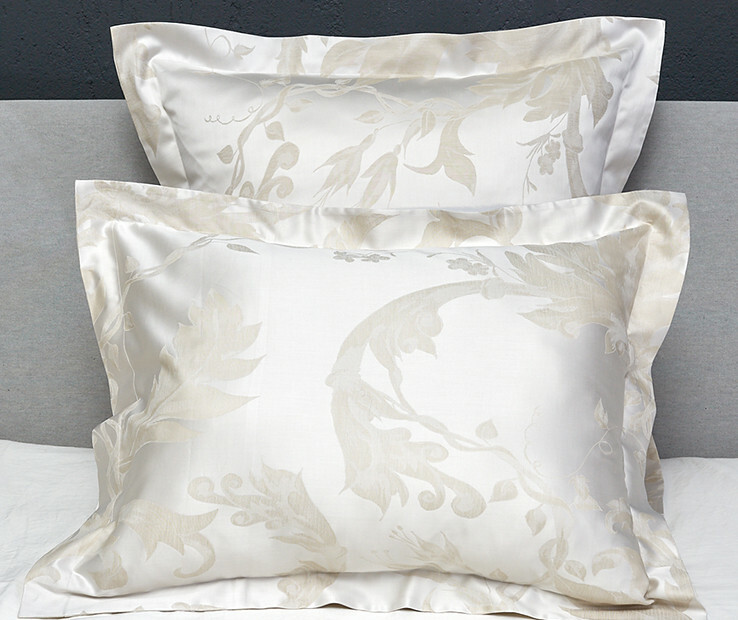 The fine hand, the smoothness, and the subtle luster are the characteristics of Signoria sateen jacquards that are made with the finest, longest-staple Egyptian cotton. 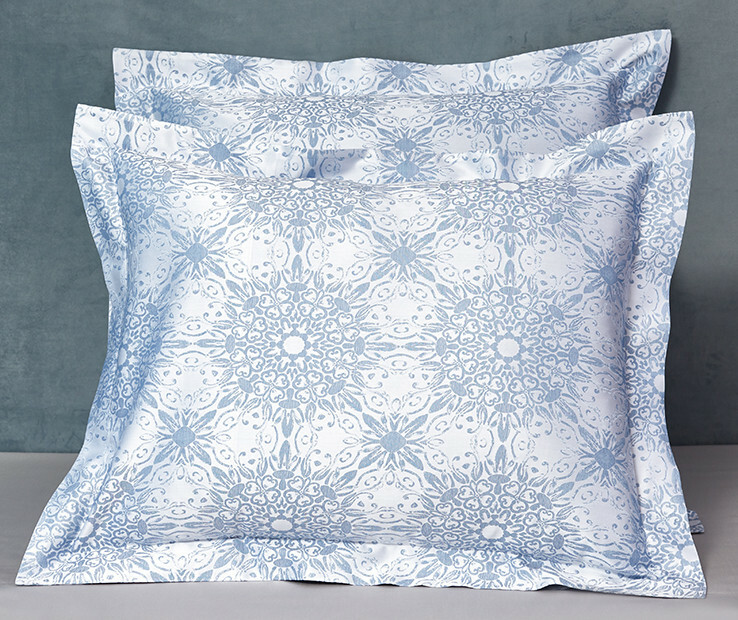 Available in Standard, Euro and King sizes, the Azulejo Sham has four flanges of 2 inches neatly finished with a simple hem. Made in Italy. The inspiration of the design of the Azulejo duvet cover comes from the Portuguese and Spanish azulejos, ancient decorated ceramic tiles. The result is an elegant and fresh yarn dyed jacquard offered in two colors that enhance the uniqueness of the pattern. 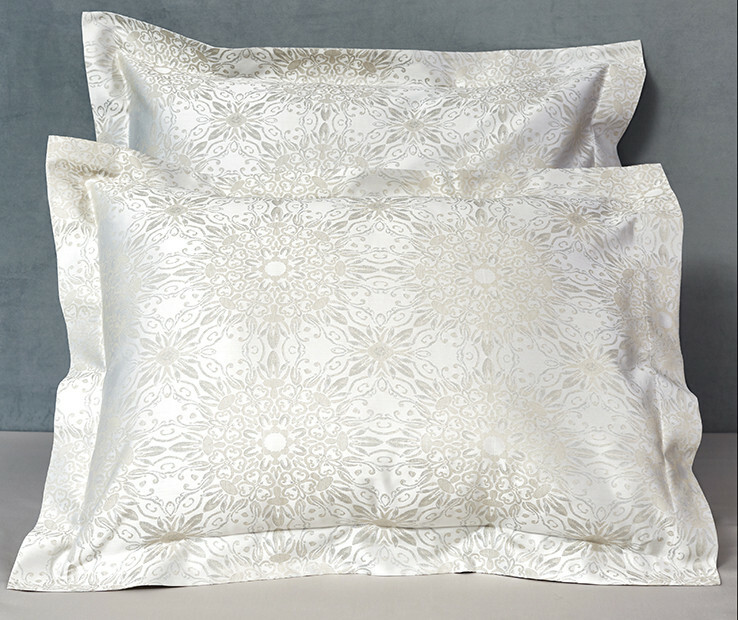 The fine hand, the smoothness, and the subtle luster are the characteristics of Signoria sateen jacquards that are made with the finest, longest-staple Egyptian cotton. Available in Twin, Queen and King sizes, the Azulejo Duvet cover is backed with silky cotton sateen in coordinating color and is neatly finished with a simple hem. buttons closure. Made in Italy. 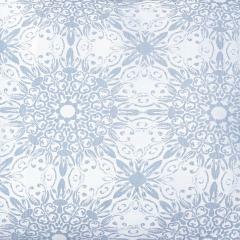 The Ravello sham is inspired by the beautiful illustrations found on Amalfi Coast tiles. 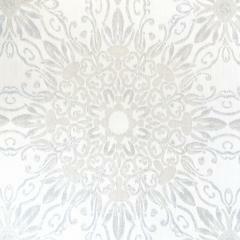 The softness of the movement and the detailed shades adorning this fabric create an elegant masterpiece. Ravello yarn-dyed jacquard is made with the outstanding durable longest-staple Egyptian cotton that highlights the sleek hand and the luxury that can adorn every space. Available in Standard, Euro and King sizes, the Ravello Shams have four flanges of 2 inches neatly finished with a simple hem. Made in Italy. The design of the Oriente shams reminds one of an ancient fabric that has adorned a luxurious environment and still maintains all its charm with a shabby chic look. This effect of ancient fabric enhances the preciousness of the collection. 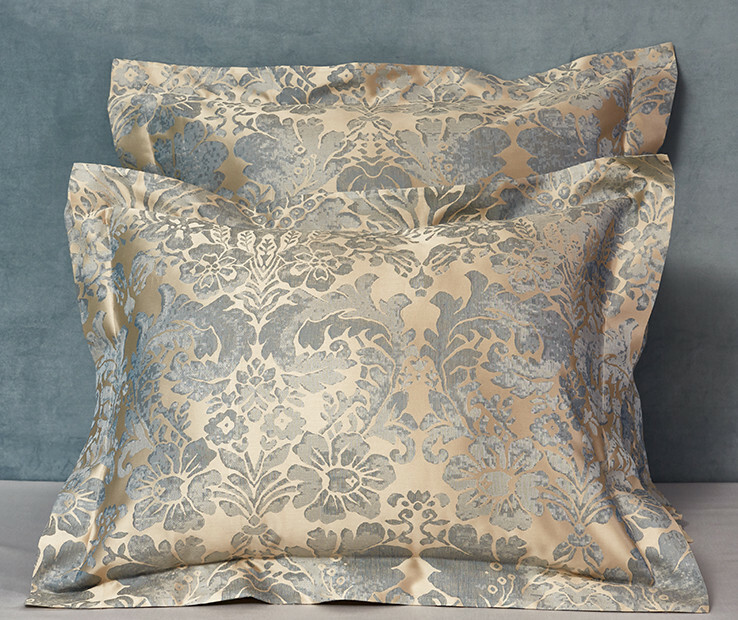 Oriente yarn-dyed jacquard is made with the outstanding durable longest-staple Egyptian cotton that highlights the sleek hand and the luxury that can adorn every space. Available in Standard, Euro and King sizes, the Oriente Shams have four flanges of 2 inches neatly finished with a simple hem. Made in Italy.